Atopic or allergic asthma is the outcome of a combination of genetic and environmental factors. The body’s hypersensitivity to certain allergens in the environment like pollen, dust, chemicals, and some food items are the most likely triggers of atopic asthma in children and adults alike. These allergens elicit inflammatory changes within the lungs to bring about bronchospasms or narrowing of the airways and excessive mucus secretions. This results in reversibly blocked airways. Hence, we see recurring symptoms of cough, wheezing, breathlessness, and chest tightness forming the core of atopic asthma. In fact, asthma is actually the Greek word for ‘panting’, which is also the most common and characteristic symptom of this illness. Today, asthma tops the list of common chronic medical conditions in children, with as many as 1 in 11 children and 1 in 12 adults suffering from asthma in the UK. In the US alone, 9.3% children and 8% adults suffer from asthma. In fact, in 2011 a whooping 235 million people were affected by asthma globally, and around 250,000 people are estimated to die from this condition annually. Watching your own child or a family member experience an asthma attack is certainly one of the most agonizing sights. 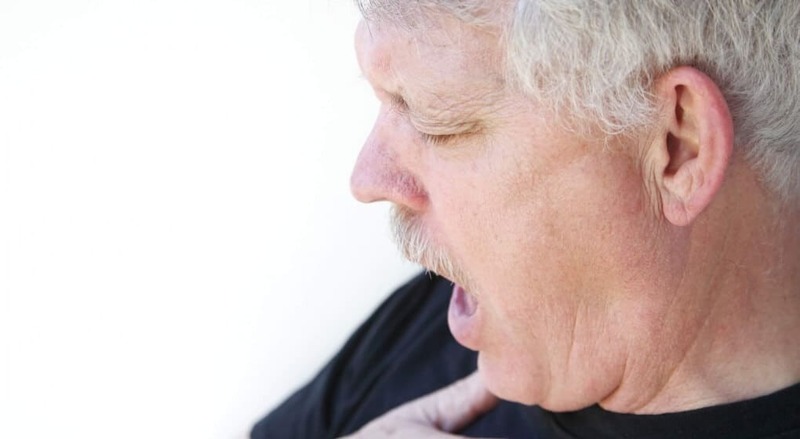 It can also be very painful and cumbersome to experience an asthma attack yourself. Whether it’s you or a loved one; the panting, chest tightening, and breathlessness together is a very distressing combination to endure. It’s all the more depressing if conventional medicine isn't adequately able to treat this illness. The inhalers and oral corticosteroids are likely to relieve the distressing symptoms during an asthma attack, but in most cases, this relief is only momentary. They often do little to reduce the body’s hypersensitivity to the allergens. This leaves most parents with asthmatic children and individuals suffering from asthma feeling helpless and frantic for a cure. Fortunately, Mother Nature has provided us with several effective natural remedies and herbs to relieve atopic asthma. The old and simple grandma’s remedies and the alternative practitioner’s herbs are sometimes able to improve the symptoms and halt the progress of atopic asthma. Because of the relatively low cost and potential upside, it makes sense to give natural remedies a try. Here’s how you can help yourself or a loved one find relief from atopic asthma naturally. We need not go very far looking for remedies to treat atopic asthma. Most herbs and spices on our kitchen shelves could go a long way in healing asthma. Here’s how! 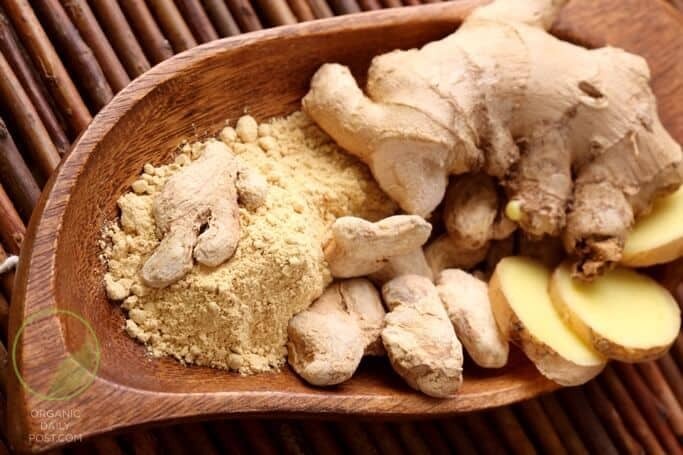 Ginger is a popular component of most Grandmas’ herbal recipes handed down through the generations. Its antibacterial properties and multi-faceted health benefits make it so worthwhile in these old formulas. One such effective method of using ginger for asthma is to have one tablespoon of equal quantities of fresh ginger juice, honey, and pomegranate juice 2-3 times a day. Alternatively, raw strips of ginger with salt are a good option too. Then again, if you find raw ginger a little too spicy, you may add small pieces of ginger to boiling water, allow it to steep for 5 minutes, and drink this when the water cools down. 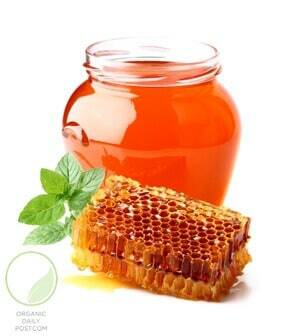 Honey is chock-full of important nutrients such as, flavenoids, magnesium, selenium, etc. that make it an effective antimicrobial agent. Its sweet taste makes honey a favorite among children. Interestingly, some studies have shown that a small amount of honey at bedtime is as effective in reducing bouts of cough in children as dextromethorphan, a cough suppressant. Researchers also believe that the sweetness of honey increases salivation, which helps wet the irritable airways to soothe cough. 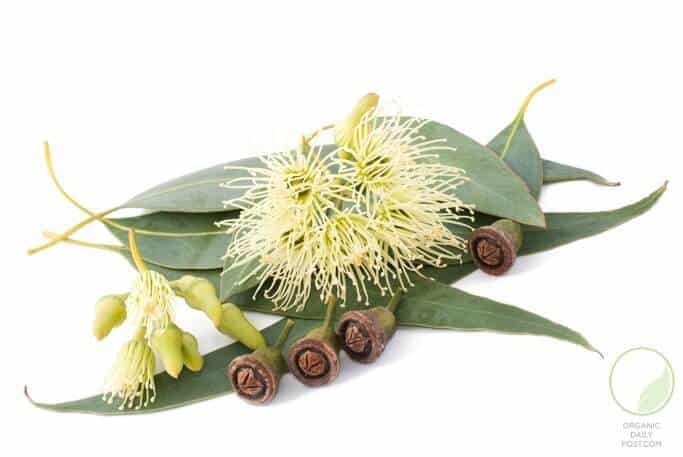 Eucalyptus contains eucalyptol, a chemical that helps break-up mucus. Hence, eucalyptus oil may relieve the symptoms of atopic asthma by breaking up the mucus buildup within the lungs. In addition to its health benefits, eucalyptus oil has a pleasant aroma and is easy to use too. All you have to do is dab a little of this oil onto a napkin or paper towel and leave it by your head at nighttime, or inhale through the napkin a few times through the day. Alternatively, you may even add a few drops of eucalyptus oil to a pot of boiling water and inhale the steam with deep breaths. Butterbur or Petasites hybridus, a perennial shrub has been used to treat asthma and cough since the 17th century. In 2002, a scientific study concluded that the petasins in this shrub inhibit leukotrienes and histamines responsible for atopic asthma. 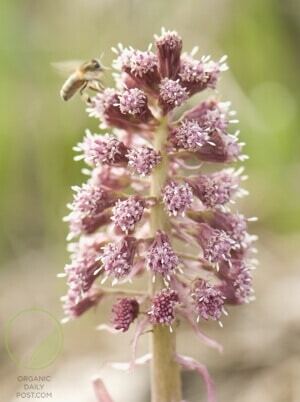 In fact, some studies have also indicated that butterbur extract is likely to be as effective as a daily dose of 10mg cetirizine or 180mg fexofinadine used in allergic conditions like hay fever and atopic asthma. Liquorice contains several health promoting compounds like flavonoids, betaine, aspargine, choline, and soponins. It also contains glycyrrhizic acid, which resembles steroids in structure and form. This structural similarity enables liquorice to work as an effective anti-inflammatory agent, demulcent, antitussive, and expectorant. Boil liquorice root in water for a few minutes, and sip this infusion every 15 minutes to experience potential relief from the symptoms of atopic asthma. If you can get your hands on some Ghee or Mahanarayan oil, add a teaspoonful of it into the infusion for better results. Individuals suffering from hypertension may want to avoid liquorice as it contains sodium that is likely to increase blood pressure. 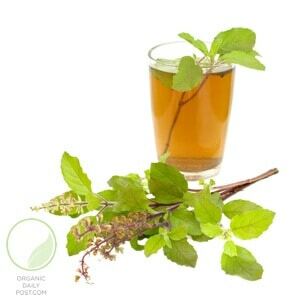 Holy basil or Tulsi is an important herb in Ayurveda, the ancient science of Indian medicine. We know of basil as a culinary herb for its aroma and flavor, but another type of basil known as the occimum sanctum or holy basil has myriads of health benefits. It contains essential oils, phytonutrients, and vitamins A and C that heal atopic asthma and other respiratory conditions. Grind 10 holy basil leaves in a mortar and squeeze out their juice. Mix this juice with some black pepper, ginger juice, and a tablespoon of honey. Have this mixture directly or dissolved in warm water twice a day. This potent herb mix is believed to fix the symptoms of asthma in a flash. Indians have used Triphala churan, another of Ayurveda’s popular herbal formulas for asthma for thousands of years with success. The combination of three herbs, harar, behar, and amla in Triphala churan balances pitta and kapha in the body. According to the tenets of ayurveda, balancing these two elements in the body is essential for respiratory health. Hence, replacing salt in salads and fruits with triphala churan or having it mixed with water is a great way to naturally treat atopic asthma. You could find triphala churan in any ayurveda or herbal store. Reishi mushrooms are used extensively for cough and respiratory conditions in Chinese medicine. They strengthen the lungs and immune system, in addition to providing anti-inflammatory benefits. 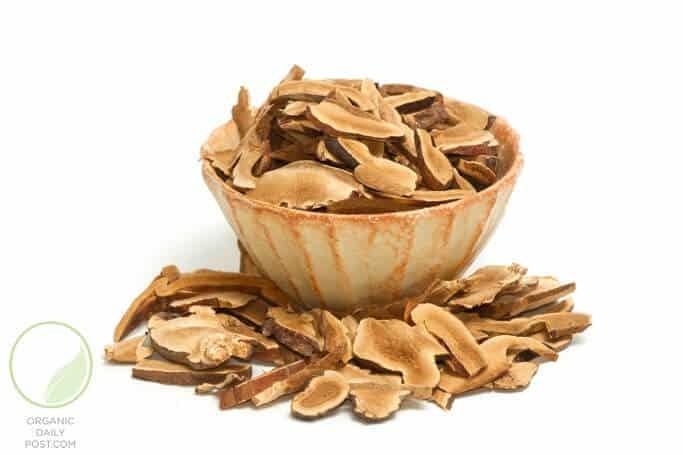 Whole Reishi mushrooms can be cooked with food or can be consumed in the form of a concentrated herbal tincture to gain relief from atopic asthma. Tapping into nature’s abundant stores of herbs and remedies is a great defense against many medical conditions today, especially conditions like atopic asthma that are difficult to treat otherwise. However, while you try these simple and effective natural remedies, make sure to check if the herbs interact with any medications you maybe taking already. 1. "World Health Organization Fact Sheet Fact sheet No 307: Asthma". 2009. Retrieved 2 September 2010.